Minimalism is intentionally getting rid of the excess in your life, so you can devote time and energy to the things that are truly important to you. It’s a lifestyle choice, but it’s not merely decluttering and limiting what you own, it’s looking very intently at what you have, what you need and if things help you live the life you want to live. What’s the purpose of minimalism? Adapting a minimalist mindset allows you to prioritize your life and only keep things, obligations, etc. that are essential to you and the life you want to live. When you let go of the things that you do only out of obligation and intentionally have in your life the things that help you move the direction you want to, it gives you a sense of freedom and focus. For some people, minimalism is getting rid of a lot of possessions, but that doesn’t necessarily mean that people looking in from the outside would think of them as minimalists. Minimalism doesn’t have to be visible in every aspect of their life, remember, it’s more of an approach to life in valuing things that need to be valued. Some people are drawn to the very extreme form of minimalism; they prefer to have all their belonging fit into a backpack as they travel around the world. Some people enjoy so much the sense of control that minimalism offers, they get rid of more and more, they think of changing their name to something with fewer syllables, they look for minimalist names for their children, they eliminate relationships, and make decisions in the name of minimalism. The later isn’t a healthy form of minimalism. Although there may be relationships that need to end, some jobs need to be walked away from, and people can name their children whatever they want. The issue is that the beginning of minimalism offered so much freedom from stress in their life, they are hoping for more. Getting rid of things isn’t always the right answer. Sometimes it is, something it isn’t. 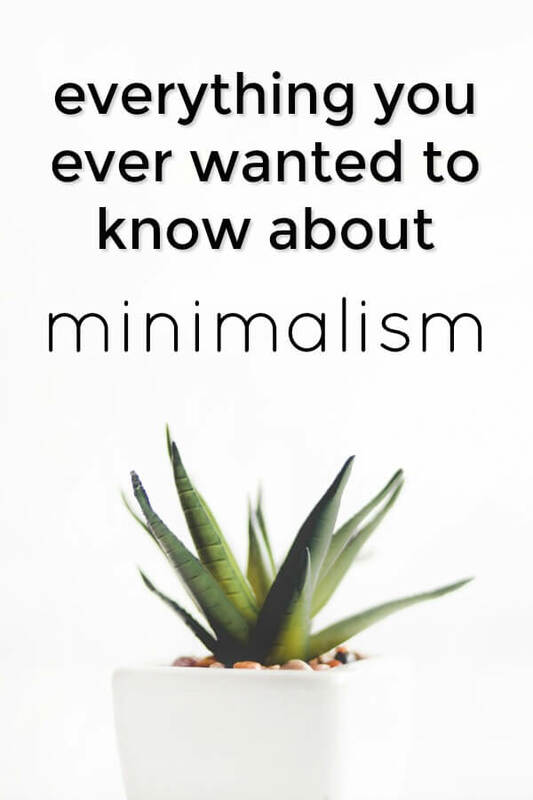 But I can say that NOTHING should be done just because “a minimalist would do it.” Minimalism is a tool to help you, not something to define you. For some of us, minimalism will have a typical sparse look, for others, it’s going to be more noticeable in how they schedule their days and what obligations are on the calendar. There is no right or wrong way to be a minimalist. I am a minimalist, but if you walk into my home, that wouldn’t be the first thing you think of. If you would like to see some real-life examples of minimalism in different homes, click here for a variety of home tours. Minimalism with a new baby may be only having the bare essentials of clothing & diapers, or it may mean not having any large equipment other than a car seat, or simply doing without all the “normal” nursery furniture. Even as a minimalist parent, it’s likely they will have at least 14 outfits for the baby- because babies drool, spit, poop and get into things. 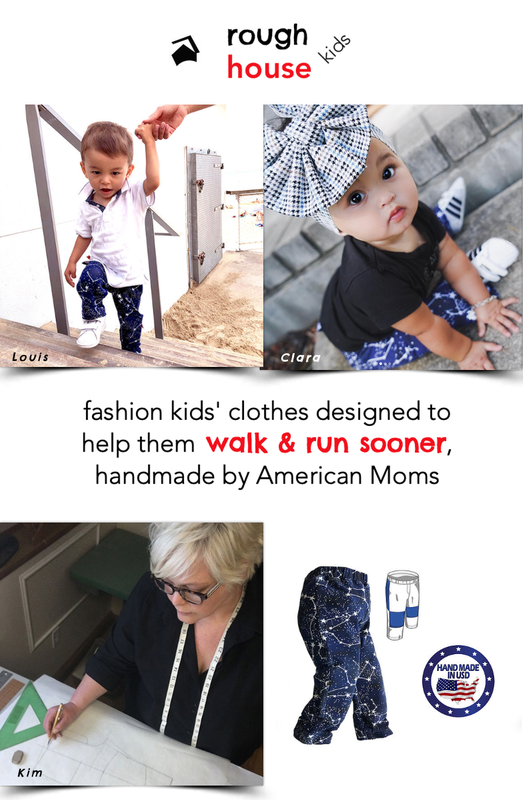 Some toddlers are messier and will require many changes of clothes; some won’t. Again, this is not one of those areas where you make decisions in the name of minimalism: instead, you make decisions about what they own because of what makes sense for your child and your situation. Toys: kids don’t need many toys. They’ll play with sticks and spoons, and play pretend. Minimalist tend to limit what toys are allowed and how many are kept in the home or accessible at a time. I limited my children to 20 personal items, but kept sets of legos, etc. I’ve also done an experiment where we stashed most of the toys in the garage for months to see what life was like without them. Kids simply do better with limited toys. Minimalism makes this age easier in that the laundry is simplified (capsule wardrobes/limited items means less laundry and plenty of room in their drawers to put things away). A typical minimalist family will be conscientious about what extracurricular activities their children are in, and how packed the schedule is. Having priorities aligned means there is time to help with homework and the morning routines run smoothly because the process becomes relatively streamlined. This of course, ultimately depends on the teenager, but often teens are willing to learn about building capsule wardrobes and invest in high-quality makeup and just the colors they feel good in because let’s be real: it’s too expensive to get 54 colors. 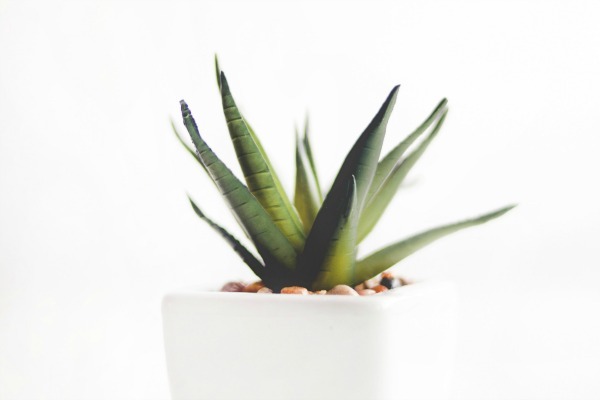 Embracing minimalism as a college student has so many benefits- less to worry about, less to pack and move, less to clean and since minimalists don’t shop often, it saves money! Grandparents who are minimalists have so much more freedom with their time and energy, they often do things with children and grandchildren instead of giving them things. Because minimalism shifts the way you think, it also changes the way you spend. If you’ve worked hard to let go of all the superfluous material items around your home, you’ll think carefully before buying another shiny object to put back in your home. With priorities in line in your home and on your calendar, you’ll find that money more often stays in the bank account. To simplify, debt is paid off, and new debt is avoided if possible. Purchases are made out of necessity, not out of boredom or from being pulled by consumerism. With the excess eliminated, relationships often become the priority. More time is spent with parents, siblings, spouses, children, grandchildren and valued friends. With decreasing the unwanted obligations on the calendar, minimalists can add in time for meaningful relationships: time for dinners, coffee meetups, board games, and outdoor adventures. It takes time to break the habits of vegging in front of the TV or scrolling through social media on the phone, but often that time is shifted to looking at a screen, to interacting with another person. This can be awkward at first because we’re just not used to simply being together without being entertained. But you may find you have much more satisfying downtime with those you love. Learn new recipes together, take up home ferments or sourdough baking, find new walking trails, take up journaling, read the same books and discuss them, or learn to play cribbage or backgammon. Because minimalism is a shift from a reaction-driving way of living to an intentional-action way of living, it’s going to have an impact on your belief system. When you deal with getting rid of your excess, it’s like stripping away anything you’ve ever used to hide behind or distract yourself, and you’ll find that you come face to face with those age-old questions: Why am I here? What’s the purpose of life? Remember that minimalism is a tool to use to help you in life. It gets rid of the distractions so you can seek the truth. As a Christian, I’ve heard people claim that Christians should be minimalists or that minimalism helps you be a better Christian and I’m going to say no, it doesn’t. Does it help you stay organized and devote time to things that are important, including your relationship with God? Yes, it can. But the only way to grow as a Christian is by focusing on Christ and knowing Him- be careful not to allow the things you do (minimalism) to take the place of relationship. Mental health: Many people, including myself, have found relief from depression and anxiety after they rid their home of excess and maintain a minimal amount of possessions. When the house is filled with clutter and feels out-of-control is takes a significant toll on one’s mental well-being. Sensory Issues: Those with Sensory Processing Disorder can be over-sensitive to surroundings or under-sensitive. Those who are over-sensitive to surroundings are greatly helped by minimalism. What appears to be very stark and barren to most people can offer a sense of peace and order to those with SPD. You can read more about how minimalism helps with sensory issues here. Physical Health: When you become more intentional about what you allow in your home and on your calendar, it naturally leads to addressing health issues as well: you are more conscious of what foods & beverages you take into your body as well as how active you are. Stuff, kids, job, car, house, yard, anything useful? Yes, yes, yes!! Minimalism is not some sort of asceticism where there is no enjoyment, and you withhold pleasant things from your life for some higher purpose. If you enjoy gardening, make it a priority to have a place to garden. But on the other hand, if you hate yard work, then minimalism for you may be selling the house in the ‘burbs to live somewhere that you don’t have to tend a yard. How do you begin to be a minimalist? It begins with shifting your mindset. Think about your life and what fills it currently. What if your spouse isn’t on board? You can only change yourself, so don’t worry about the people that live with you. Take care of things for yourself, minimize your own possessions and anything that is considered “your territory.” I.e., If you are the only one that cooks, then feel free to simplify the kitchen. But if things are shared, then talk about it first and come to an agreement. Take some time to talk about why you are desiring to simplify, talk about the benefits and your main motivation for embracing a simplified lifestyle. Don’t allow the fact that they aren’t on board to prevent you from working at it. Often it’s easy to use it as an excuse: “No point in trying, he won’t deal with his stuff!” But there is a point! You can do this for you! You can simplify your side of the bedroom, your side of the closet and whatever else is yours. 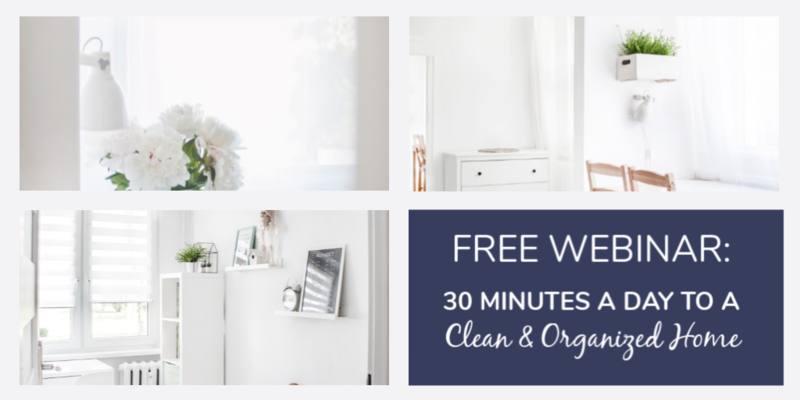 You can develop a cleaning routine simply for the fact that it makes you feel better. Maybe they won’t participate, but it’s ok: your goal is to change you, so do it for yourself. How do you tell people about your lifestyle change? If it’s friends- just tell them what you’ve been working on and why. If people are interested, they’ll ask. If they don’t ask: let it go. When people see others making positive changes in their lives, it either inspires them to do the same, or they feel defensive and avoid you. But that’s something they need to deal with- it’s not your responsibility. Don’t spend time trying to convince them or defend your choices. How to address excessive gifts from family members? Just like the question above, if the person is going to be affected by your lifestyle change, start a conversation. Understand that this may take years to change, but it’s essential to begin the discussion. Tell them what you’re doing, why you are doing it, what benefits it will give your family, etc. Know your “why” behind embracing minimalism and wanting to simplify gift exchanges. This will help you explain the purpose of requesting a change. Suggest experience gifts or things that can be enjoyed together. Remember that it’s not about the physical item, but that the person giving the gift wants to be express their love and the person receiving the gift needs to accept their love. Show appreciation and graciously accept gifts, and afterward remember that it’s ok to let the gift go. What do you do with paper clutter? Be brutal in the beginning and only keep things absolutely necessary. Digitize as much as possible: get your bills and statements sent to email, scan and file things that you don’t need a physical copy of. Don’t clip coupons, don’t save receipts (unless it’s for tax purposes) and don’t save all your children’s artwork. There are many note apps that allow you to take pictures of written notes that you need or children’s artwork so that it can be saved digitally. I personally just take a picture of the artwork and put it on my cloud file system. How can I apply minimalism to our food? First, let me say this: you don’t have to embrace minimalism in your eating if you don’t want to. If you are someone that loves experimenting with new ingredients and create your own recipes, then minimalism in your menu may not suit you. Remember: minimalism is eliminated what isn’t important so you can focus on what is important. But if you would like to embrace minimalism in food, consider a capsule kitchen challenge like Courtney has done. You can also simplify by subscribing to a menu planning website like RealPlans, Emeals or one that sends you food like Hello Fresh, Bue Apron or Home Chef. The most basic way to apply minimalism to food: remember that minimalism is about removing the excess and keeping the important, so fewer snack foods and drinks and focus on your three basic meals and drinking more water. How can you apply minimalism to hobbies? Minimalism helps so much with hobbies. It’s so easy to get carried away with purchasing supplies and getting bigger and better: but out of limitations comes creativity, the more limited your supplies, the more creative you will be with them. I’ve tested this myself, and all the projects that I worked on with more limits are the ones I am most proud of. So, if you craft, purchase only the supplies you need for that particular project. If you paint, pick 10-20 colors to keep on hand. Don’t buy unless you have a specific purpose for the item and a date you will use it. Minimalism is going to look different for everyone! For the homesteaders, they are going to have to specific supplies that a City-dweller will probably never need. Because minimalism is focusing on what’s important, it will be clear what is essential in their life, and there is no right or wrong way to go about it. People that live in Rural areas are going to need more outdoor equipment than those that live in an apartment downtown. Remember: just because someone is a minimalist, doesn’t mean that they will lean towards any particular belief system or political party. When getting rid of stuff what should you do with it? Donation. This is my recommended way of getting rid of things. There are many places to donate used items; I recommend seeing what places in your area take donations and go to an organization that you would like to support. Most places have at least a Good Will and a local Mission charity store. Garage Sales. Unless you are working on paying down your debt with the Dave Ramsey plan, I don’t recommend garage sales. Typically the effort of having one doesn’t pay off. Aside from that when you are decluttering, you have to decide to let the item go, and it can be emotional. When you have a garage sale, you have to face those same emotions again as you sort your sale items, price them and then watch them leave. Repurposing. Don’t repurpose yourself. Unless you have a project you are working on, time to invest in it and a date you will have it completed by- let someone else repurpose it. Landfills. I don’t want to fill up landfills, and I believe it’s our responsibility to take care of our planet. But I want you to think through this: If there is no other place for it to go, don’t keep it in your home. We don’t want to fill up the landfills more, but that doesn’t mean your home should be the landfill. Take a deep breath, put it in the trash and know that your mental well-being is more important than keeping things out of the landfills. Never read a more complete article about minimalism.